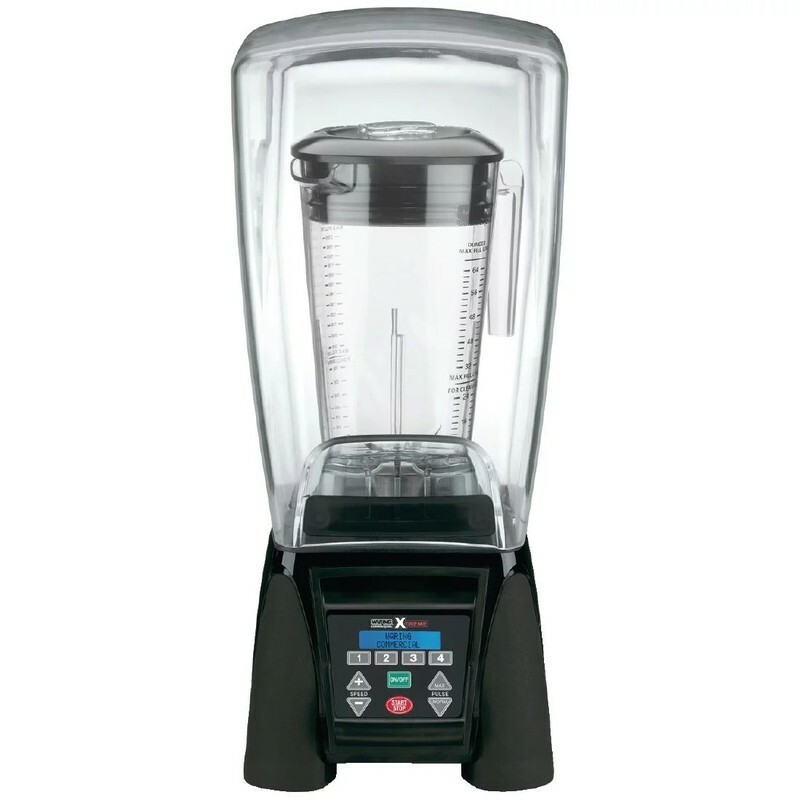 Supremely powerful, the Waring Xtreme Hi-Power Blender would benefit any busy professional kitchen or bar. Able to crush ice in seconds, its heavy duty 2HP motor and ultra-aggressive blades ensure super smooth consistency and fantastic results, even when blending frozen fruits, thick spreads and other similar hard-to-blend foods. A fantastic time-saving blender, the large 2 litre jug is BPA free, shatterproof and dishwasher safe. This model also features a handy sound enclosure to drastically reduce the amount of noise and four adjustable programmes for consistency and accuracy.